The infographic shown above explores the rise in income inequality in the United States. There is a particular emphasis on the rise over the last four decades, which have seen income inequality rise and rise. The whole topic is now very much a part of regular public discussion. 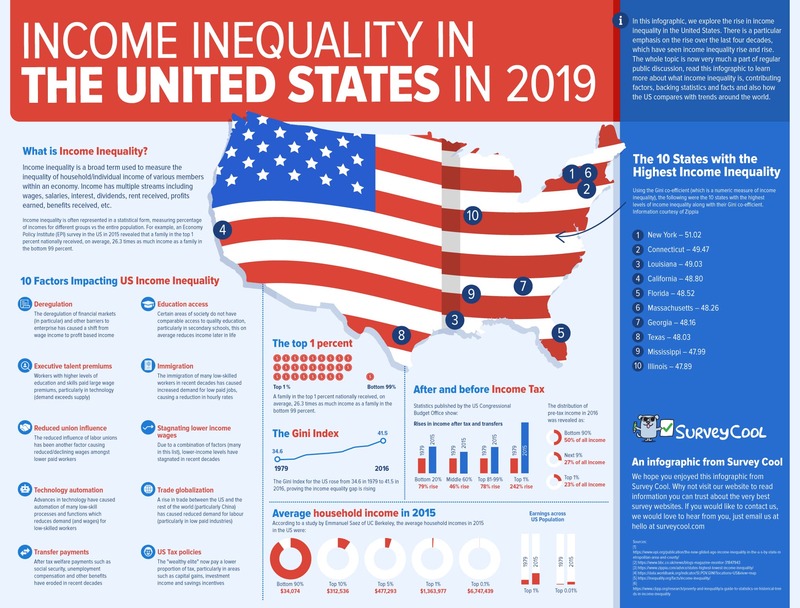 Read this infographic to learn more about what income inequality is, contributing factors, backing statistics and facts and also how the US compares with trends around the world. Income inequality is a broad term used to measure the inequality of household/individual income of various members within an economy. Income has multiple streams including wages, salaries, interest, dividends, rent received, profits earned, benefits received, etc. Income inequality is often represented in a statistical form, measuring percentage of incomes for different groups vs the entire population. For example, an Economy Policy Institute (EPI) survey in the US in 2015 revealed that a family in the top 1 percent nationally received, on average, 26.3 times as much income as a family in the bottom 99 percent. It’s important to emphasise that income inequality is built up literally by hundreds of different factors. We believe the ten listed above are certainly some of the most important factors, affecting income equality within the United States. Image: With income inequality, we need to stop and ask ourselves what type of society do we want? The overall average for the US is 45, so all of the states above are 5% above the US national average for income inequality. The state with the lowest rating is Alaska, which has a 41.74 rating. Draw your own conclusions from the above statistics, but it is clear to see that there are substantial income variations between the top 1% and the other 99%, as well as for many other classifications too. We hope you enjoyed this infographic from Survey Cool. 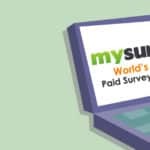 Why not visit our website to read information you can trust about the very best survey websites. If you would like to contact us, we would love to hear from you, just email us at hello [at] surveycool.com.